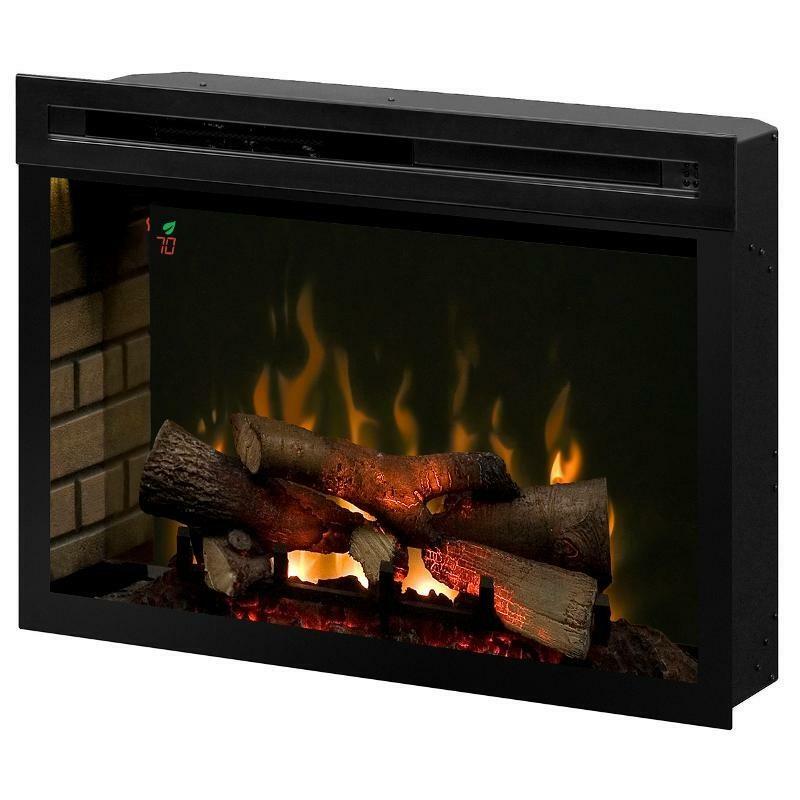 33" plug-in electric firebox offers a 120 volt plug-in widescreen electric firebox with thermostat controlled fan-forced heat. 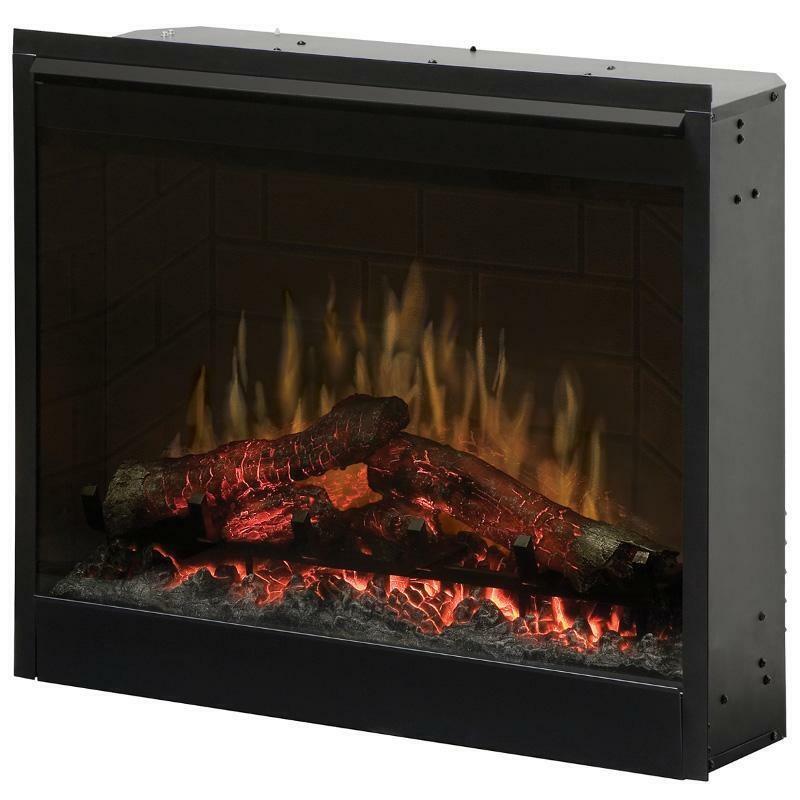 With the Dimplex's patented electric flame technology, the pulsating embers with hand finished logs molded from real wood logs offer incredible realism. 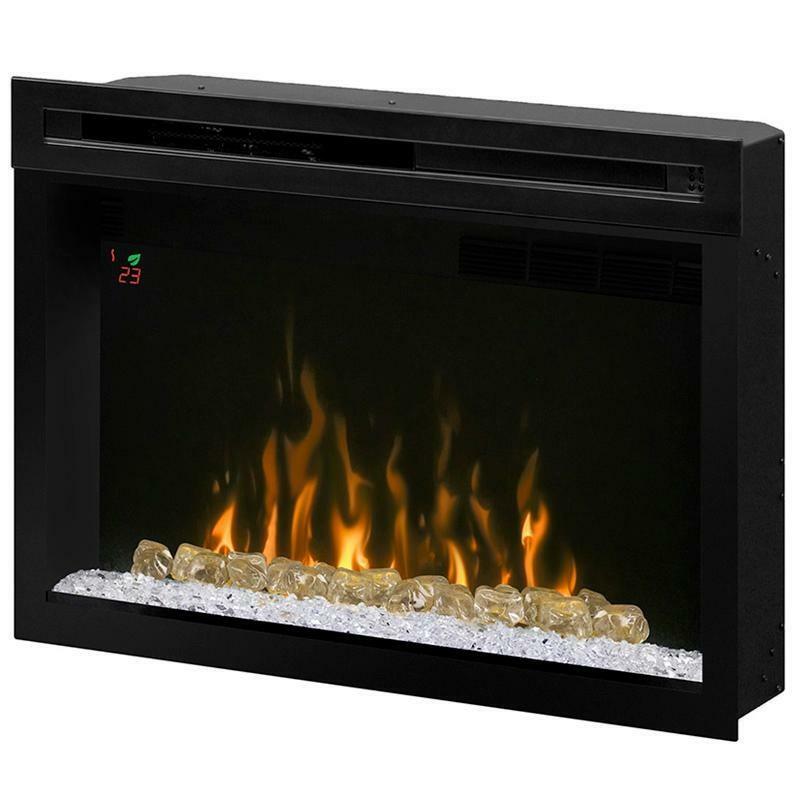 Includes on/off flame control and separate controls for flame speed, interior brightness and heater. 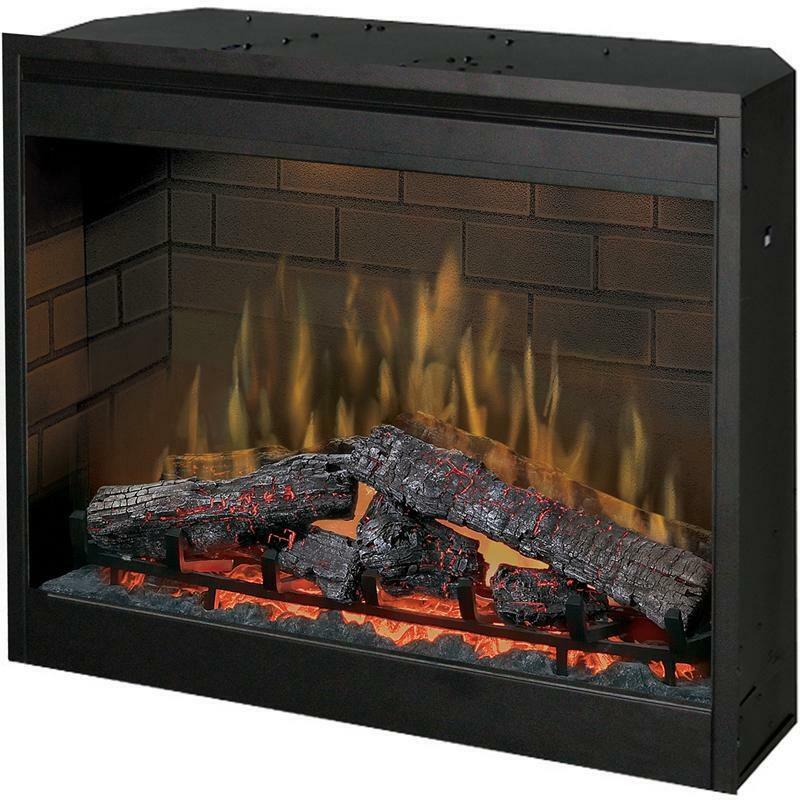 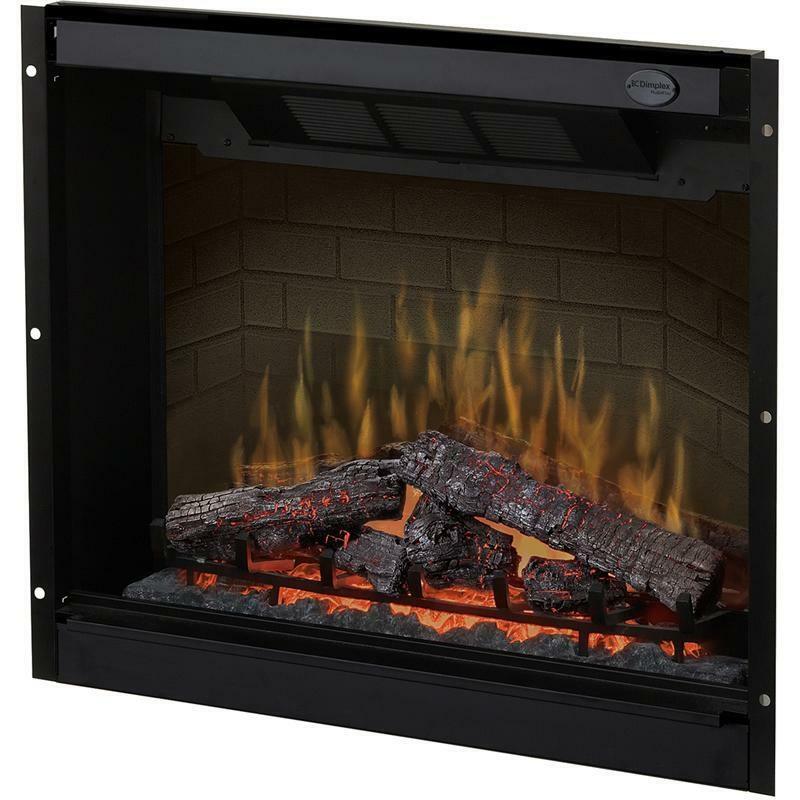 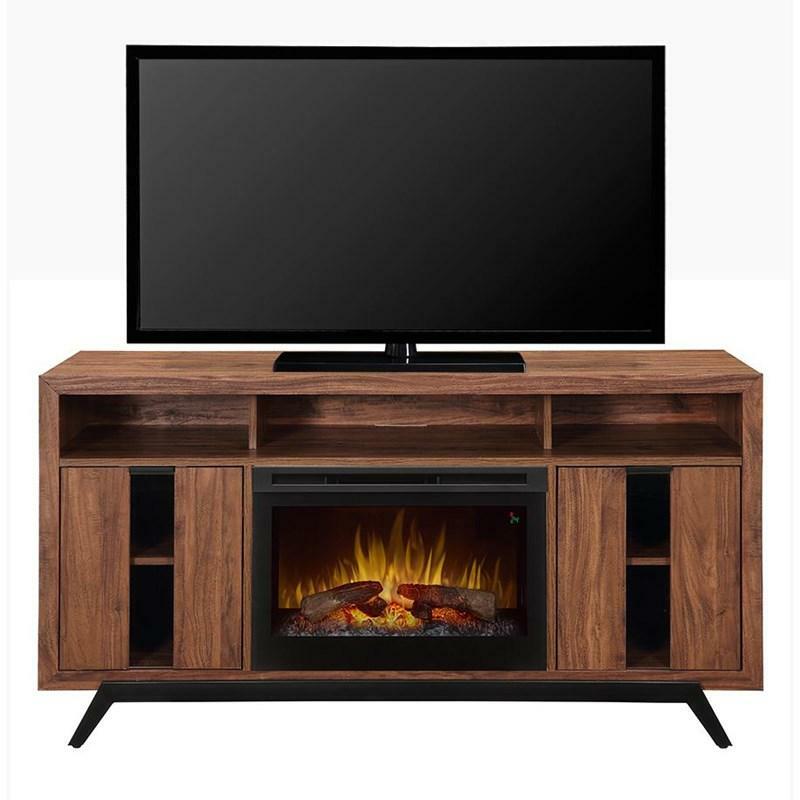 Additional Information Firebox type: Logset; Clean, self-trimming design – no separate trim required; Amps: 8.3. 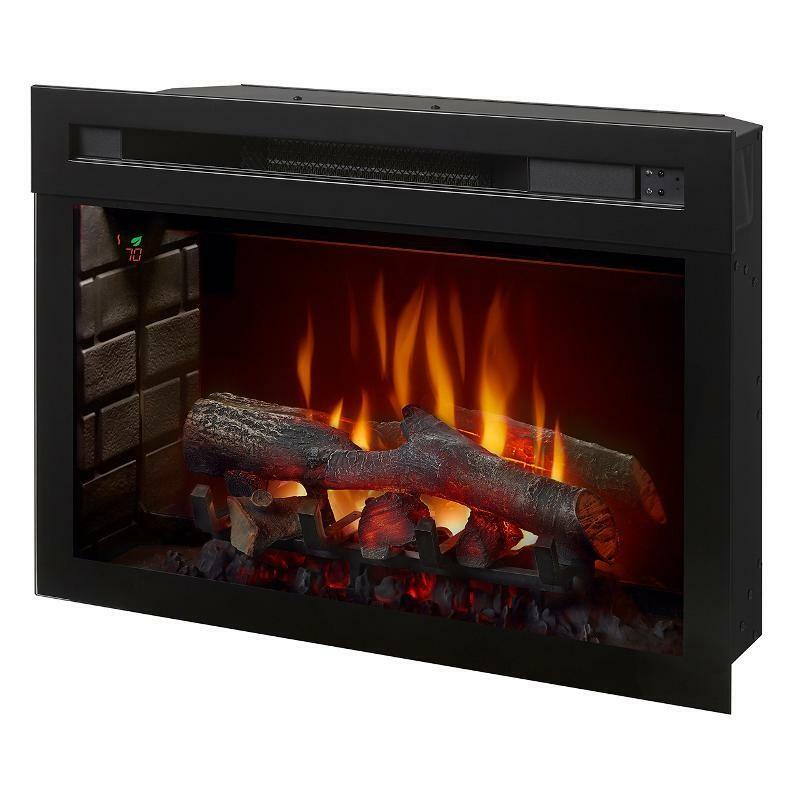 The revolutionary Dimplex Mult-Fire electric firebox sets a new benchmark in fireplaces with advanced features, including the groundbreaking Purifire™ air treatment system and incredible inner glow logs with pulsating embers. 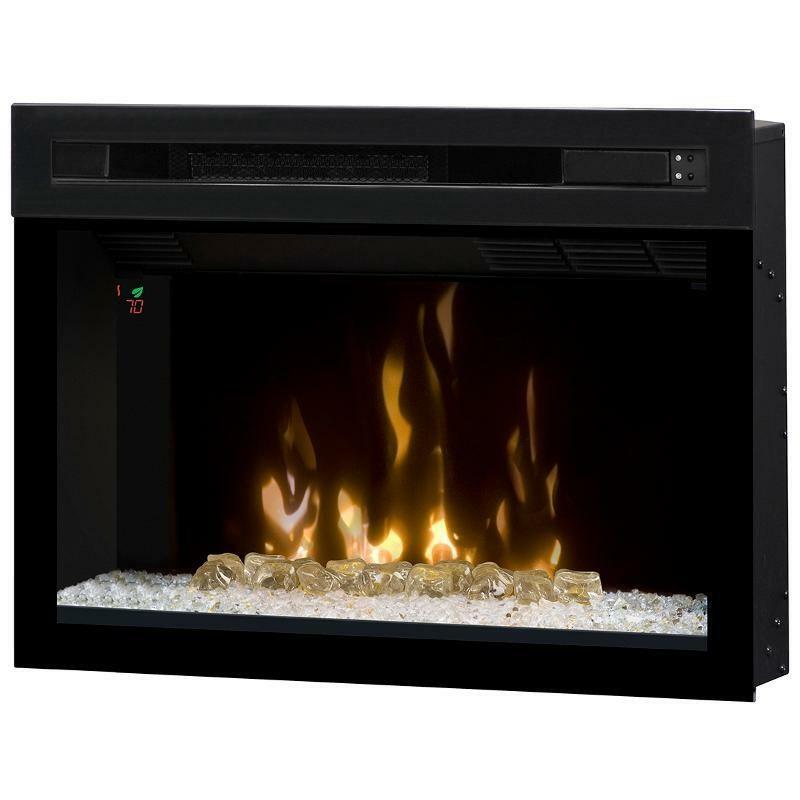 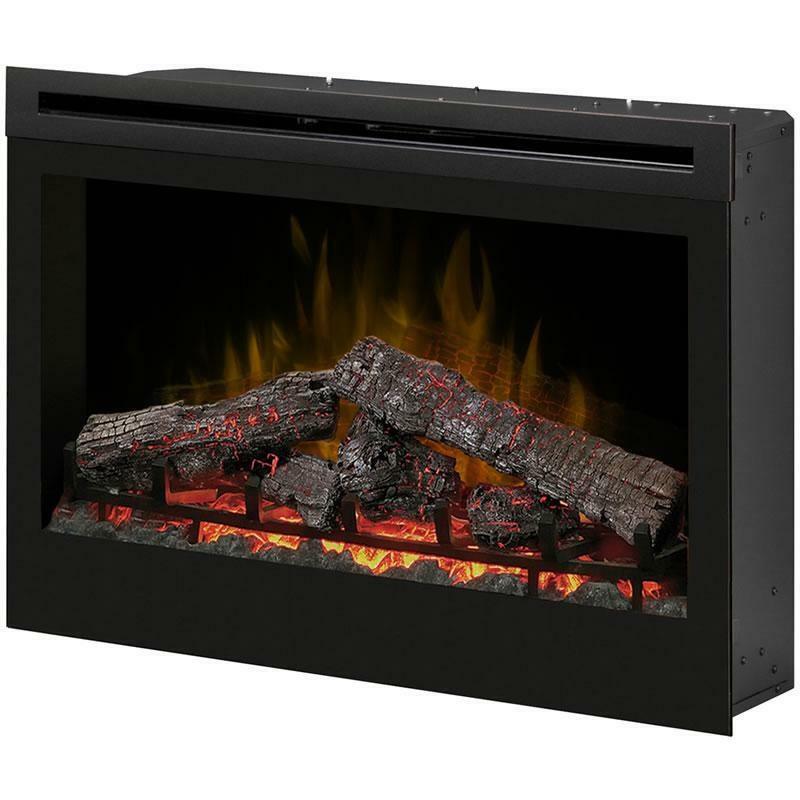 The Dimplex 26" plug-in electric firebox, includes built-in thermostat, on/off flame control and separate controls for flame speed, interior brightness and heater.